The University of New Brunswick will grant two honorary degrees during its fall Convocation ceremonies. Business mogul and long-time public servant Francis McGuire will receive an honorary doctorate of letters. Francis McGuire received a bachelor of arts degree from Dalhousie University, a diploma in European politics from the Institute d’études politiques in Paris, France, and a master’s degree from the School of Advanced International Studies at John Hopkins University. Mr. McGuire has extensive experience in both the public and private sectors. He spent more than a decade in government in New Brunswick – serving from 1985 to 1997, taking on senior roles as deputy minister of economic development and tourism, and as the leader of the province’s information highway secretariat. Additionally, Mr. McGuire’s accolades in the private sector include serving as president and CEO of Major Drilling Group International Inc., the second-largest mineral drilling company in the world, from 2000 to 2015. Throughout his career, Mr. McGuire has been generous in giving his time and expertise to the wider community. Having been a member of various boards, Mr. McGuire is the past chair of the New Brunswick Business Council and former chairman of the board of NB Power. Mr. McGuire is currently the president (deputy minister) of the Atlantic Canada Opportunities Agency, having been appointed by Prime Minister Justin Trudeau in 2017. 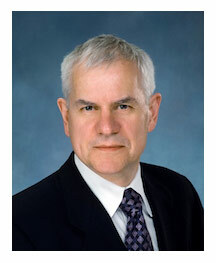 Mr. McGuire was inducted to the New Brunswick Business Hall of Fame in 2012. Ernst & Young named him Atlantic Entrepreneur of the Year in 2013. Medical pioneer and internationally acclaimed surgeon Dr. Donald H. Lalonde will receive an honorary doctorate of science degree. 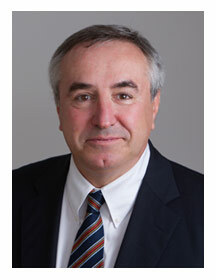 A plastic and reconstructive surgeon, Dr. Lalonde received a bachelor of life sciences (1975) and doctor of medicine (1979) from Queen’s University. From McGill University, he holds a master of science in experimental surgery (1982) and is a Fellow of the Royal College of Surgeons of Canada in plastic surgery (1984). He is a professor of surgery, and an attending plastic surgeon at the Saint John Regional Hospital and St. Joseph’s Hospital. He has presented more than 1,000 international lectures in over 50 countries, has more than 100 publications and has authored 30 book chapters. Dr. Lalonde has served on a number of boards and committees and is the past chair of both the American Board of Plastic Surgery, the first Canadian plastic surgeon to be elected, and The Royal College of Physicians and Surgeons of Canada Plastic Surgery Specialty Committee and Exam Board. In 2015, he received the Golden Apple Award from Health Volunteers Overseas, having dedicated a significant amount of his time and expertise to performing volunteer surgical missions in more than 20 countries, both cleft lip repair and reconstruction hand injuries. In 2017, Dr. Lalonde was the recipient of the Canadian Medical Association’s F.N.G Starr Award, which represents the highest award the Canadian Medical Association can bestow upon one of its members.